Play with Color to Make it Uniquely Yours! 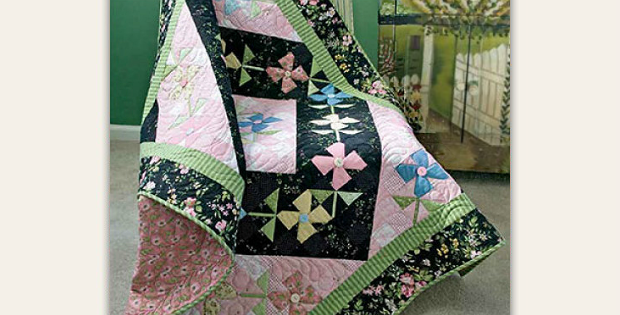 Pieced flowers tumble around this pretty quilt, making it perfect for spring and summer. Or go ahead and enjoy its charming personality all year long. We love how the black mingles with spring colors. It adds depth to what would otherwise be a soft quilt. When selecting fabric you may want to start with the border print and choose others that work well with it. The quilt will be lovely in many color combinations so have fun choosing. The finished quilt, designed by Deborah Reed, is 48″x 60″. 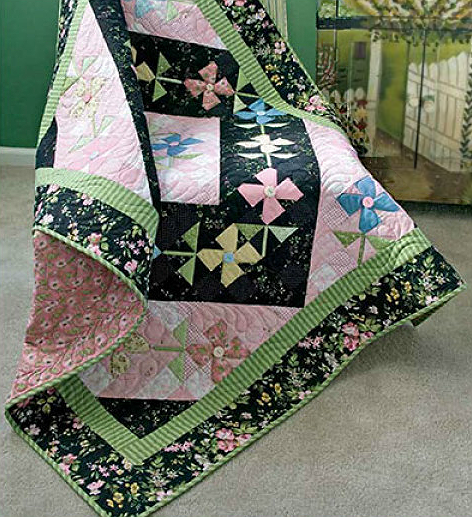 Click here to purchase the “Windblown Blossoms Quilt” pattern.